What a difference an approach makes. 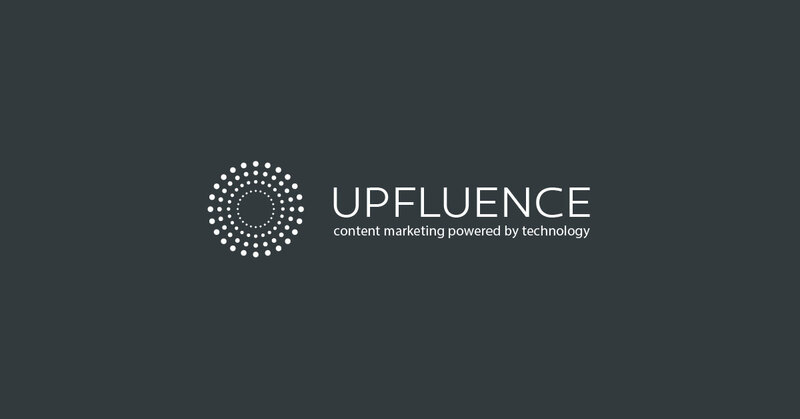 From a technological standpoint, Webfluential’s influencer marketing platform does all the things that a marketer could want. 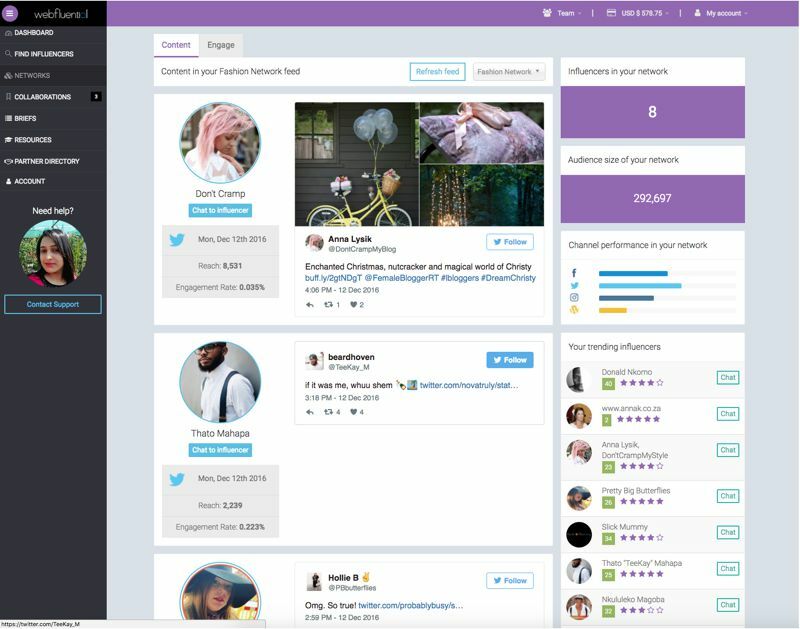 Influencer searching, collaboration tools, influencer and campaign management, analytics: it’s all there. 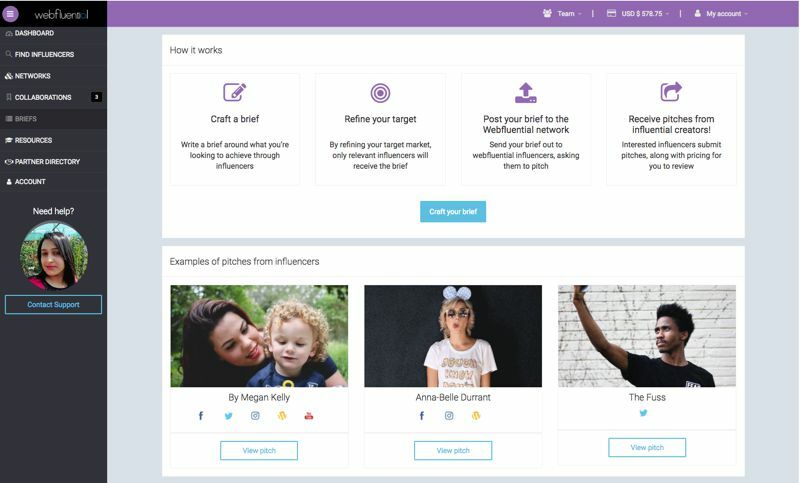 But Webfluential takes a different approach than others in the market with one simple twist: their mission is to help social media stars, whether established or up-and-coming, build lucrative careers as influencers. 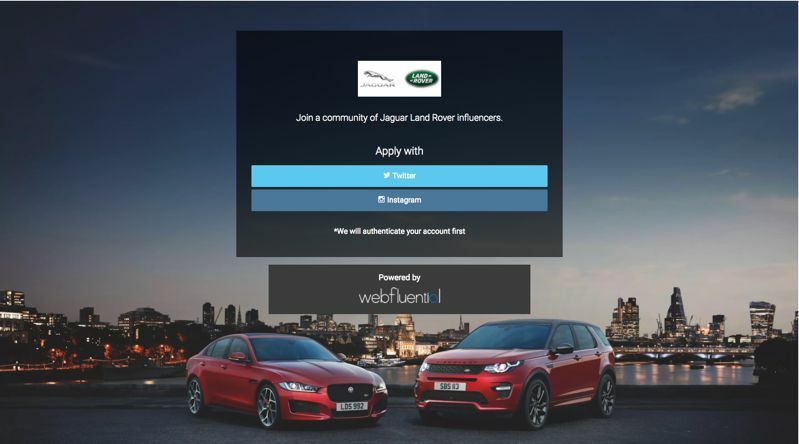 For Webfluential’s competitors, the mission is to aid brands in getting the most out of their marketing dollars. Influencers make money with those services, too, but that’s just a happy side effect. Whether or not they profit is of no concern to those business’s bottom line. That’s not meant as a knock—it’s just stated by way of contrast with Webfluential. Aligning the business’s interests with those of the influencers just means there will be some subtle differences in the way they operate. For one, this means making sure that they’re only working with the best. 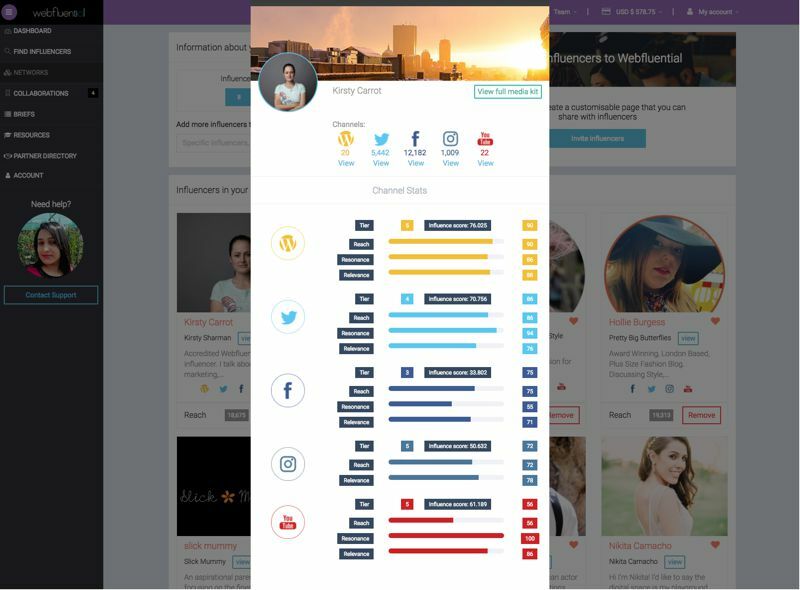 Unlike some influencer discovery tools that search through hundreds of millions of posts per day and catalog all possible data, Webfluential’s pool of influencers is a closed system. When brands search for someone to collaborate with, they’ll end up looking at a list of people who’ve already been vetted, approved, and scored by Webfluential, eliminating any uncertainty. 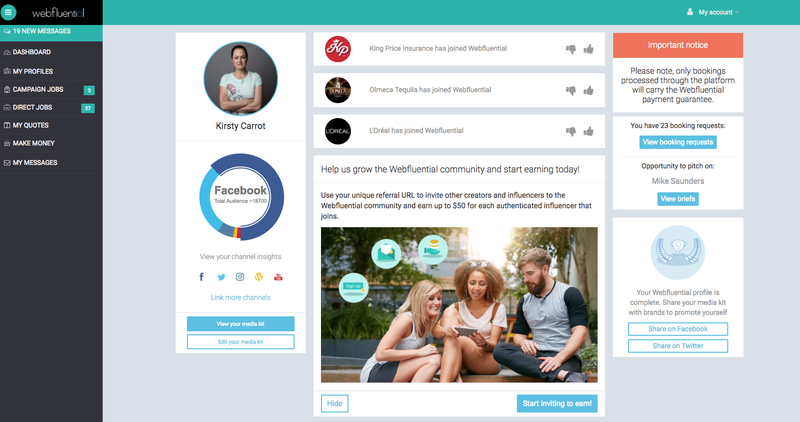 Influencers pay nothing to be part of the Webfluential community—there are no monthly subscription fees, and they keep everything they earn for the content they create. Brands and marketers may register for free to look around the platform and search for influencers, but to take any action beyond that they’ll need to update to a paid subscription. The monthly fee is based on the number of active influencers in the marketer’s network (more on that in the details). The minimum monthly payment is $50 (and includes the first 10 active influencers); it’s another $5 per influencer after that. 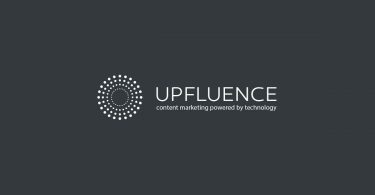 Got 78 influencers in your network? That’s $390/mo. Webfluential also takes a 10% fee for any content deals that are negotiated and executed through the site. So, for example, if a marketer agrees to pay an influencer $100 for content, she’ll end up paying $110 in total—$100 to the talent, and $10 to Webfluential. This pricing model ought to be attractive to any business of any size, scaling as it does from what is essentially a nominal fee all the way up to however much you want to spend, really. It’s actually pretty amazing that a marketing service used by the likes of Adidas, Samsung, and Coca-Cola can also be well within the reach of a two person startup that keeps its marketing budget in a jar. For influencers, getting listed on the platform starts with an application, which is reviewed—and then a decision is made by—a human. The human part is important, because that assures there’s a certain level of quality on top of an applicant having all the right stats. 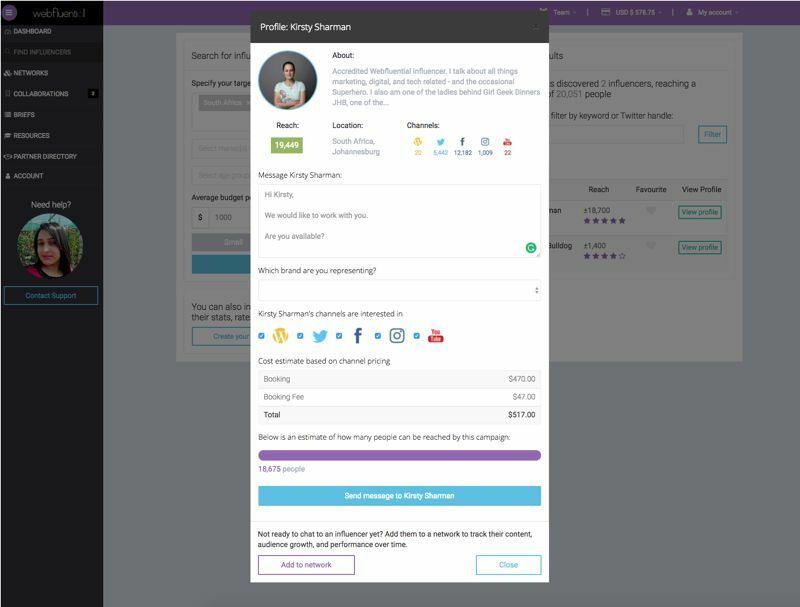 Once accepted and logged in, the new influencer is brought to her dashboard, where she can edit her profile, set her rates, and publish a media kit to a public URL in order to start attracting interest from brands/agencies/marketers (for readability sake, let’s call them BAMs from now on). 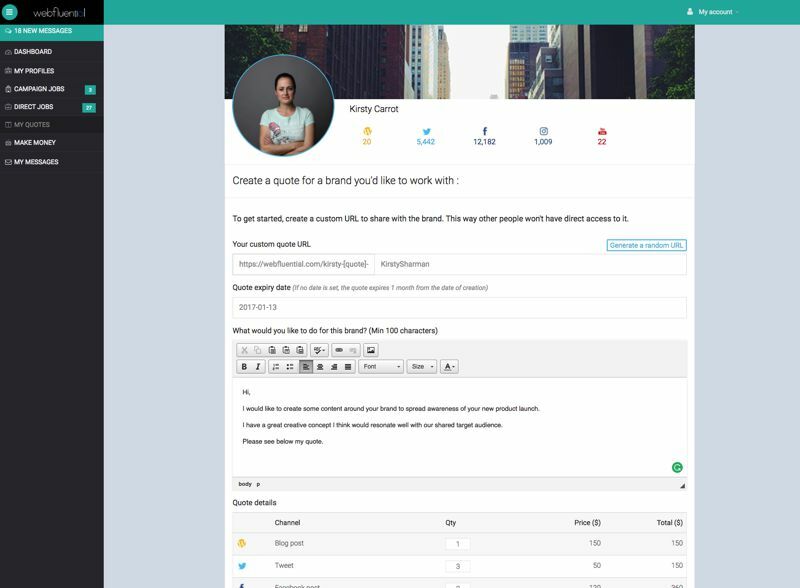 It’s an easy and attractive interface to work with, and it doesn’t hurt that Webfluential provides a little help along the way. Beyond a quick breakdown of a creator’s followers (total, and by channel), there’s a lot of helpful data prospective clients will see that your average person just wouldn’t be able to provide on her own. They can dig deeper into the demographics of her audience (age and gender), see how she compares to other influencers (based on an internal scoring system), as well as the reach and engagement analysis of past content. And both influencers and BAMs receive pricing guidance for all negotiated deals. 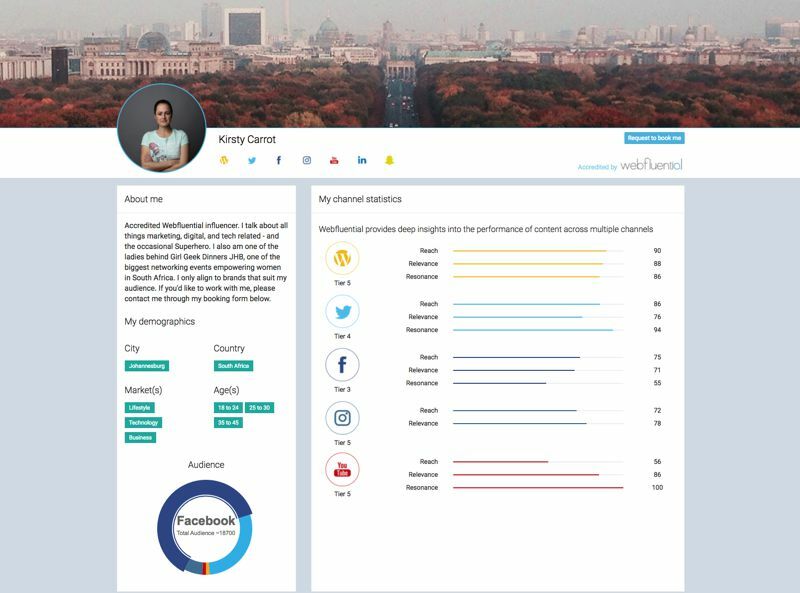 Using real time data gathered from what all the other creators on the platform charge (and relative to the influencer score), Webfluential lets both sides know how the rate compares to the average. Every part of the process is handled inside the Webfluential platform. Rates can be negotiated, deals can be struck. As soon as a BAM agrees to terms they have to issue payment, which Webfluential holds onto in a kind of escrow account. Once the creator has finished the assignment, she can submit it for approval. 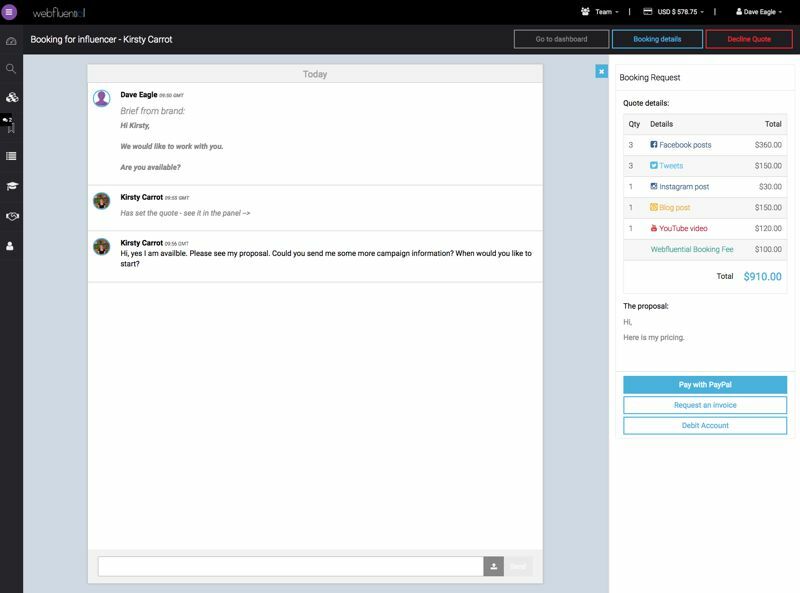 If it needs work, both parties can share the content back and forth with notes and revisions in a dedicated chat area until they get it right. 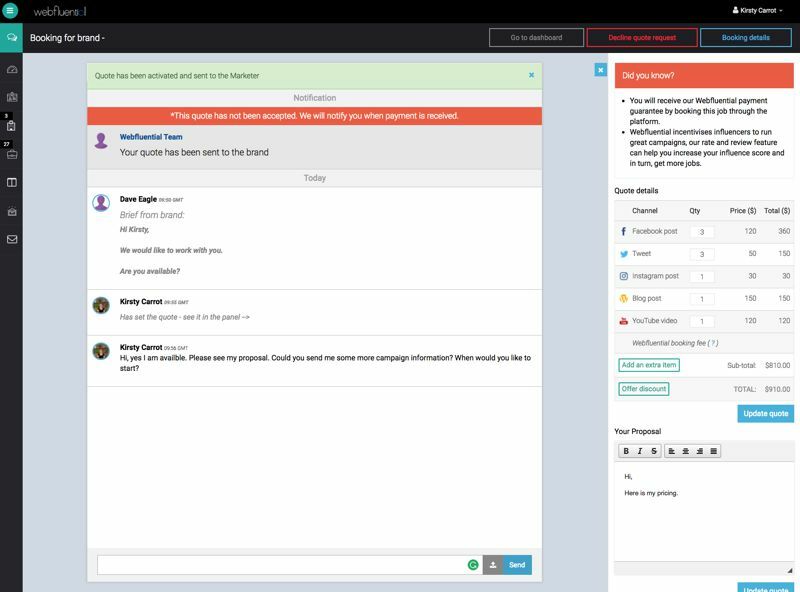 Within seven days of approval, Webfluential releases the funds to the creator. If there was any doubt who this platform was built for, consider the fact that the content creator never has to pick up a phone and talk to anyone throughout the entire process. Of course, all this is good news for the BAMs that are on the platform looking for people to create content and spread the word for them. 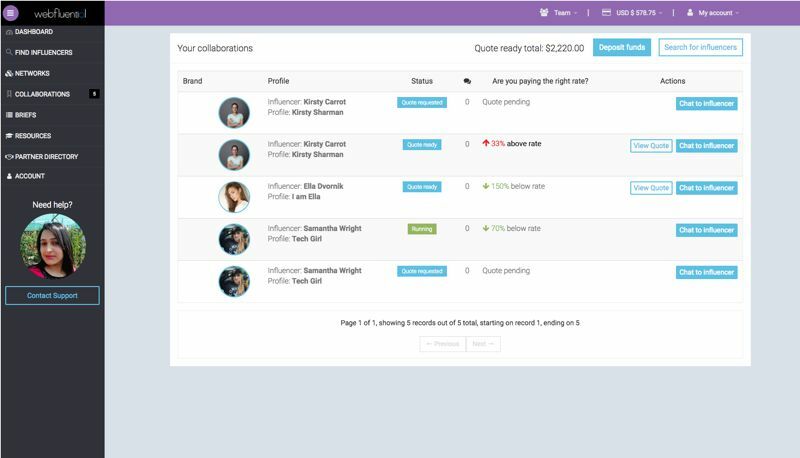 And the make it easy to track influencers that you might want to work with but aren’t quite ready to send a booking request. 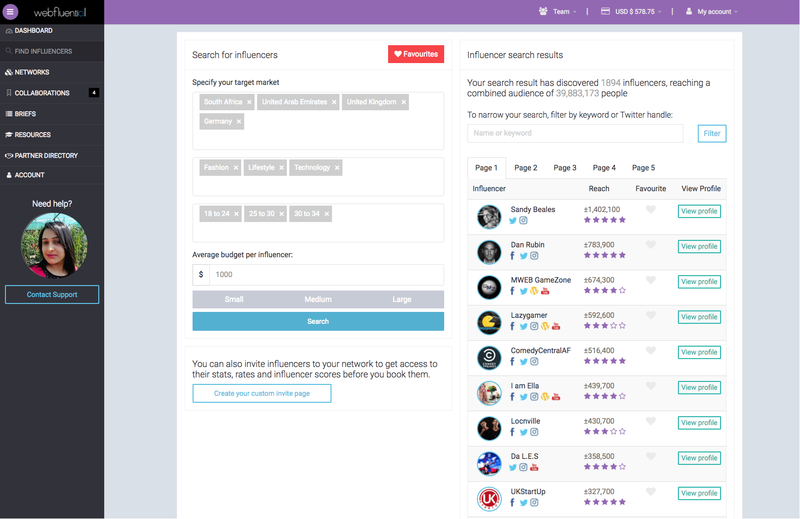 There’s a social function built-in that allows BAMs to add influencers to one of their networks, which are essentially a mashup of categorised lists and social media. Add an influencer to your “Fashion” network, for example, and her content from all social channels will show up in your Fashion feed. This is a good way to watch and see how good a fit someone might be. But the BAMs do get the short end of the stick here and there. Specifically here: searching for creators can be done with some level of precision, but it’s a weird two step process. For example, if you’re looking for a German food blogger with an audience of 25 - 34 year olds who charges $500 a post, you’ll find him. But if you want to make sure your search only includes creators who’ve posted about pizza, then you have to filter the results by entering that keyword in. This seems like something that could be done right off the bat. Further, working with the search results can be a little frustrating. 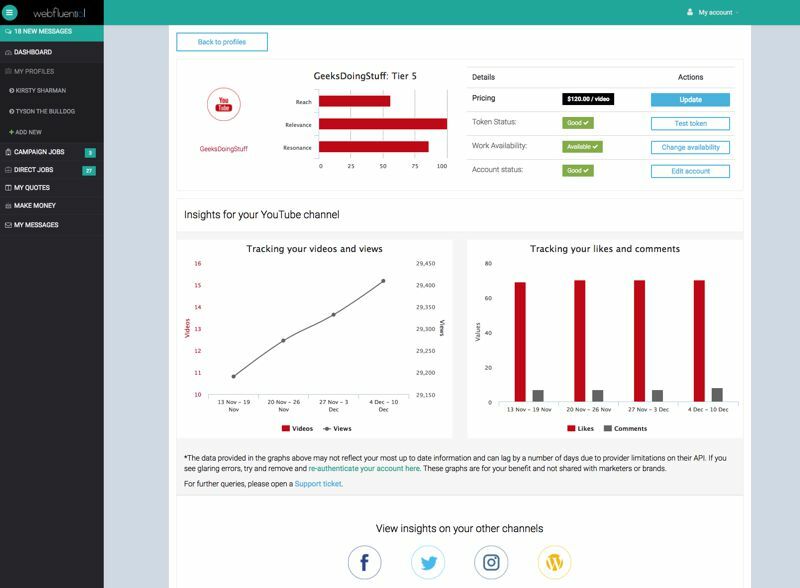 While navigating around in Webfluential is generally straightforward and intuitive, getting to the real data about a creator is cumbersome. After a search you’re presented with a list of results with basic information: name, reach, channels, and an unexplained star rating. You’re given the option to view a profile, but clicking that button doesn’t actually bring you to their profile. 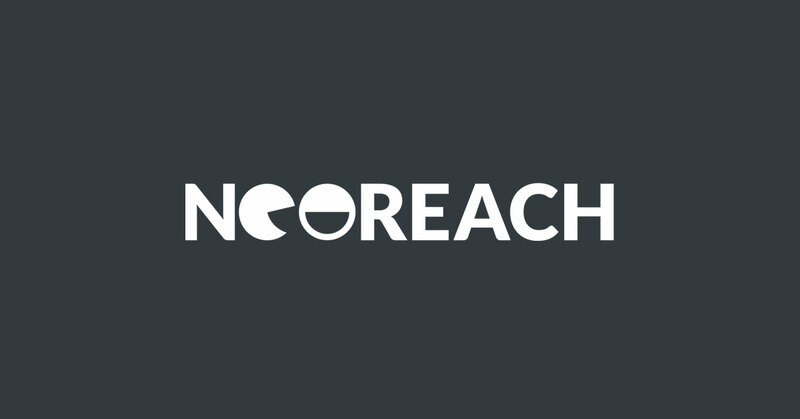 Instead, you’re presented with a popup that gives you a breakdown of their reach by channel, a text box to send a message expressing interest, and cost estimate based on their rates for the channels they operate in. Within this window, you can only either send the booking request or add them to your network. If you want to view their actual profile and media kit, you have to add them to one of your networks, then head over to the “Networks” section, choose the network, select the “Engage” tab, find them in the list of other people in that network, and then click through to their profile. The “View Profile” button in the search results should be all that you need to do, with booking requests coming later. Beyond that, though, the campaign management tools and campaign reporting features are excellent. 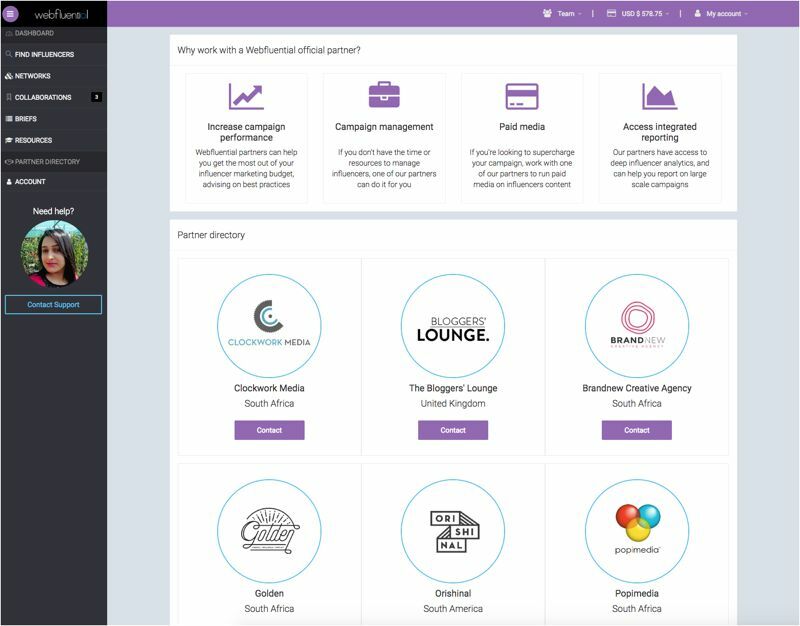 The former simplifies tracking the progress of multiple campaigns and influencers, with an organised layout and clean navigation. 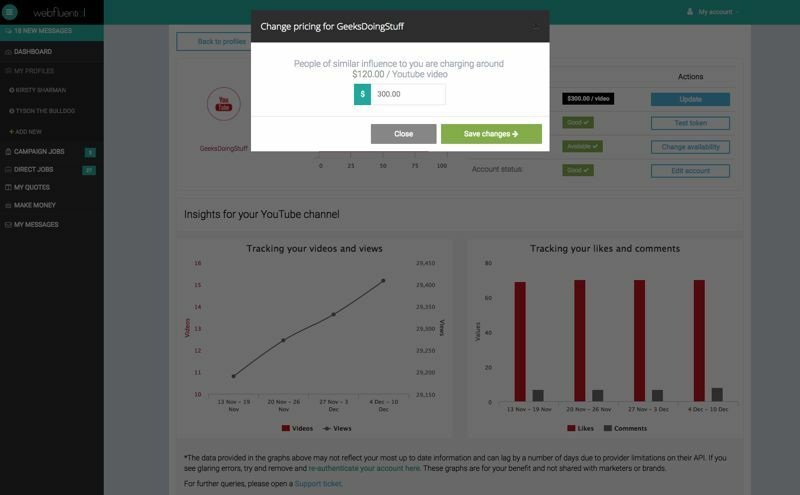 And after creators publish content, BAMs can get seriously detailed reports of the impact with Webfluential’s analytics engine—in real time. 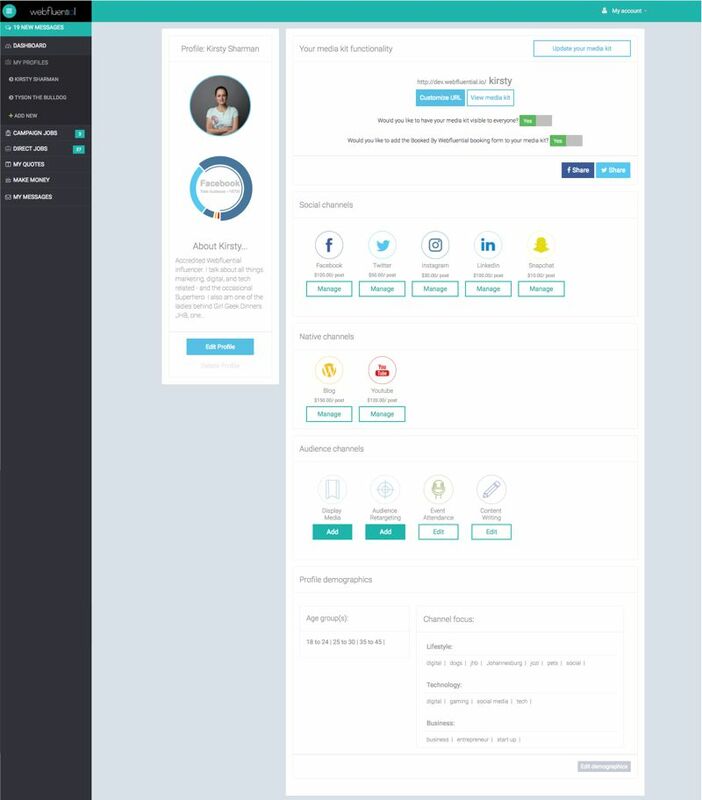 And if a talent pool that’s over 15,000 people deep isn’t enough to choose from (and for larger ones it actually might not be), they’ve got the option of inviting new influencers on to the platform through a custom portal. 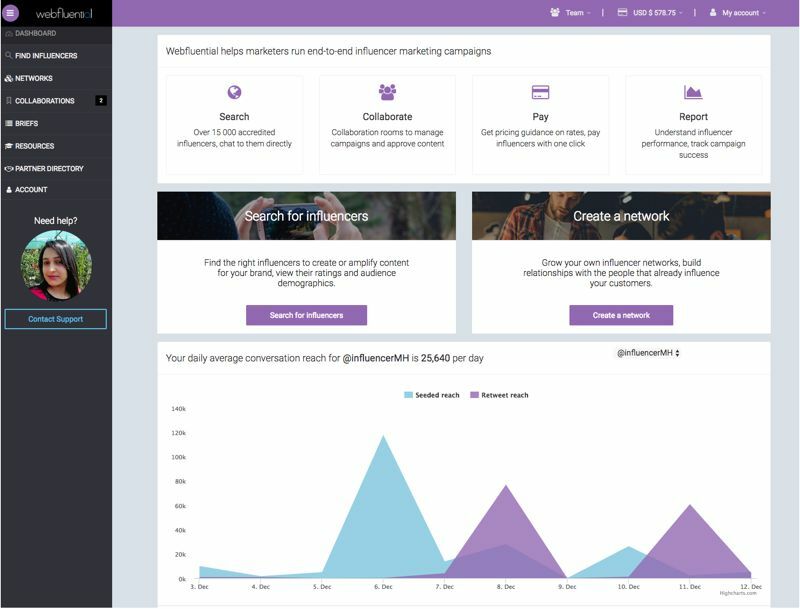 Webfluential is slick, intuitive, easy to look at and packed full of features that are sure to satisfy both sides of the influencer marketing equation. Its one drawback is the small size of its talent pool. 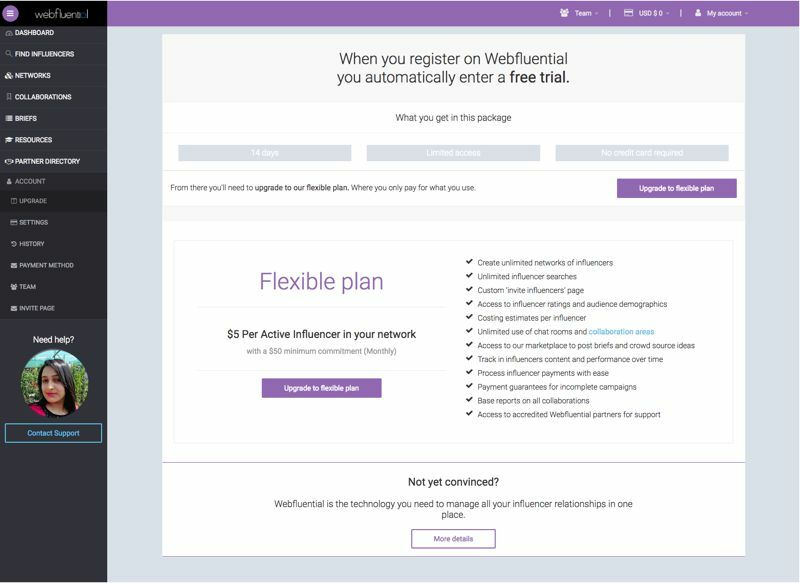 Other comparable services with an “internal” network of vetted influencers offer access to more than 10 times what Webfluential has. Part of the reason for the relatively small number of creators is geography: the company is based out of South Africa and building out from there. They’ve got some traction into Europe and Asia, but are still growing. The other reason is simple economics: a glut of influencers would cause everyone’s rates—and Webfluential’s bottom line—to drop. Their growth will have to be carefully considered, so that creators are spread out across the globe to keep the market stable. They’ve already been very smart about what they’ve created, and there’s no reason to think they won’t be able to navigate these waters just as well. 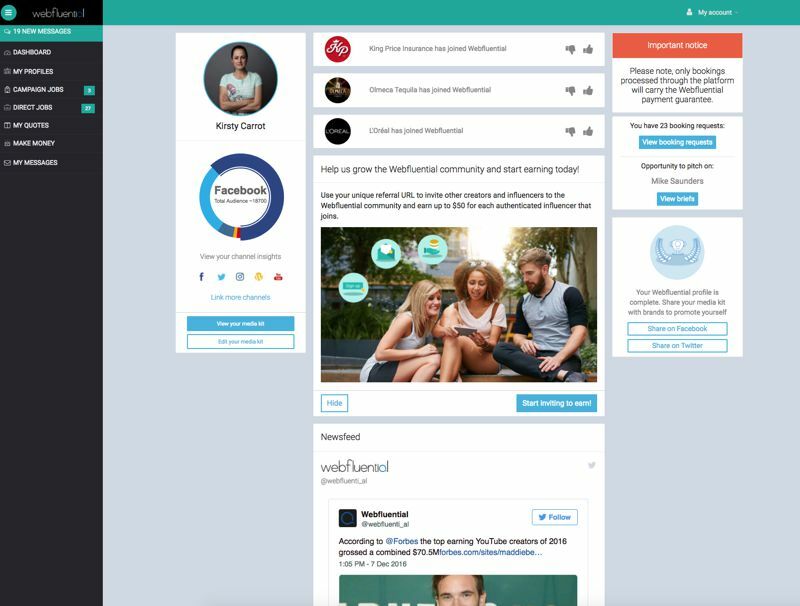 If you’re looking to get into the influencer marketing game as a creator, Webfluential is a great choice because it gives you the tools to build an entire business out of your social media followings. 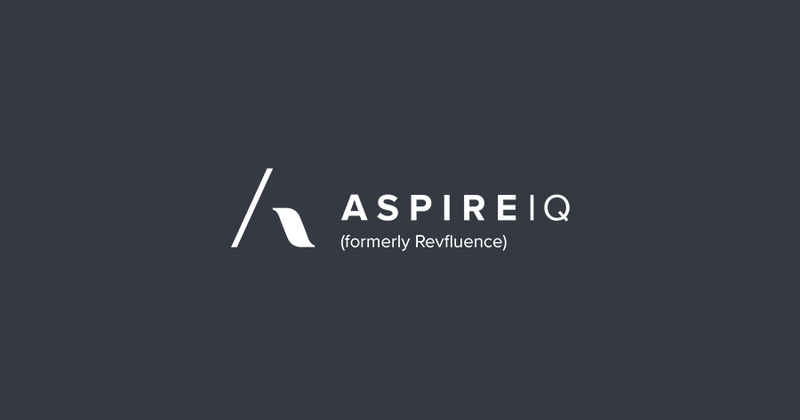 On the business end of it, they get ready access to people who can execute on social media, analytic insight into their reach and audiences, and a wealth of data that shows whether or not they’re spending their marketing dollars wisely.